The Town of Lexington’s Icehouse Amphitheater sits on property that was originally part of a land grant. Before the Civil War, a shoe shop occupied the site. The land later housed a cotton warehouse, fertilizer and coal sales company. 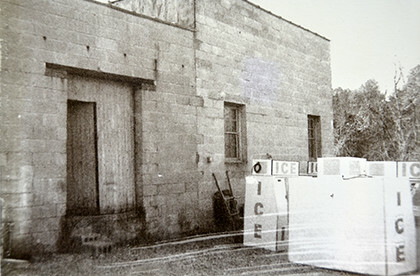 An ice plant was opened on the property in 1928 where 300 pound ice blocks were made and cut down to 50 pound blocks to fit in residential iceboxes. The plant was purchased by Frank Havird in 1970 and he added a propane distributorship. Paul and Eddie Havird owned and operated Palmetto Propane on the site until 2012. The Town of Lexington purchased the property to create an amphitheater as part of the Town’s Vision Plan to revitalize downtown and provide quality of life to our citizens. In 2012, Town Council adopted the Vision Plan, focusing on the future and providing a roadmap for Lexington. 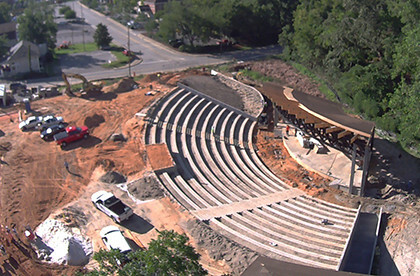 The Icehouse Amphitheater is our newest project and will allow for connectivity in the downtown area from this facility to Lexington Square Park, Virginia Hylton Park, Lexington Municipal Complex and the Palmetto Collegiate Institute. The 900-seat venue will host various community events including concerts, creating the newest destination for residents and tourists alike to enjoy a night out on the town. Future development for Project Icehouse includes boutique retail and eateries, further boosting the revitalization throughout downtown Lexington.